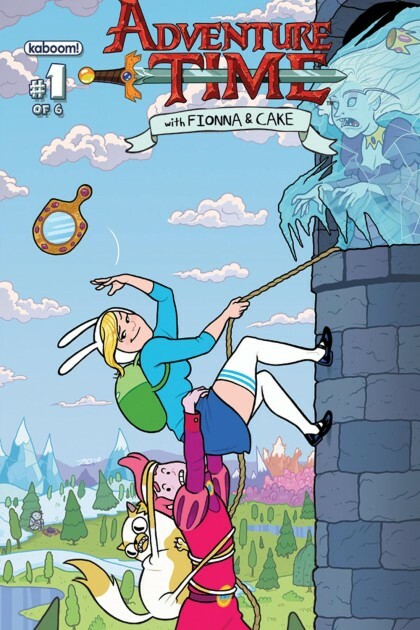 RICO’S PICK :: ADVENTURE TIME: FIONNA & CAKE #01: Natasha Allegri, who works on TV’s Adventure Time, is writing AND drawing this 6-issue series starring the characters she created for the show. I’m a huge fan of Fionna and Cake and Natasha’s Tumblr is just about one of the funniest things you can see on the internet. So I’m not really sticking my neck out when I say this series is going to be great! And check out that sweet, sweet cover by my pals Joe Quinones & Maris Wicks! !